Francis Parker School is a private, independent, coeducational college preparatory day school for students in junior kindergarten through grade 12. Founded in 1912, the school is located in San Diego, California. Parker’s mission is to inspire a diverse community of independent thinkers whose academic excellence, global perspective and strength of character prepare them to make a meaningful difference in the world. As the school outgrew its existing facilities, it needed a reimagined built environment. 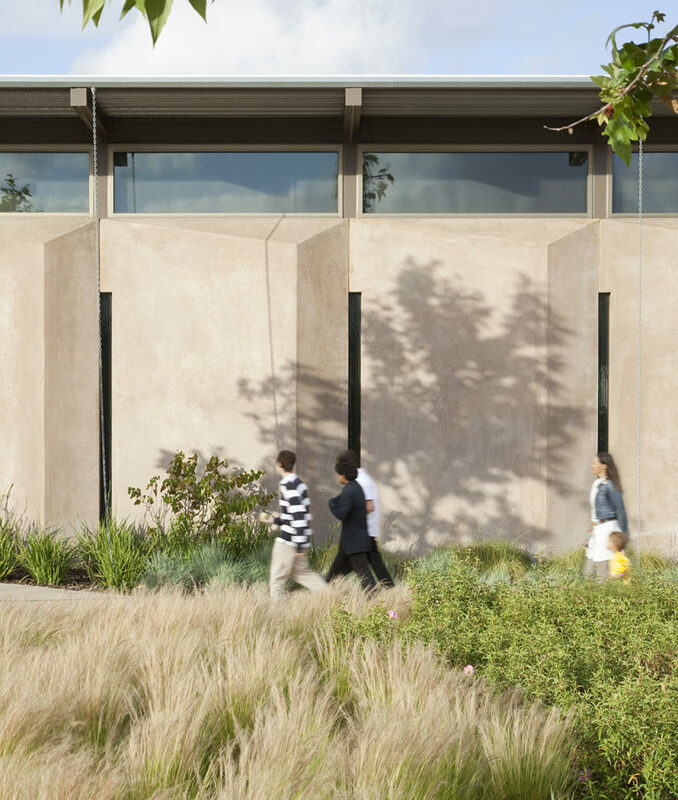 The Francis Parker School sought a practical campus design that captured the school’s character and spirit, which is centered on student experiences and improved educational opportunities, and took advantage of San Diego’s benevolent climate. The school was founded on the principle that engaging with the environment increases students’ awareness of the world and their place within it. Francis Parker’s new upper and middle school campus — master planned and designed by Lake|Flato — reflects this same spirit. The campus consists of academic structures and transition spaces that become the great public rooms, the quads and the lawns. “When we started thinking about this campus, we called it a garden campus and a campus of gardens,” said Greg Papay, FAIA, partner with Lake|Flato. “A series of outdoor spaces that would become the living rooms of campus where a lot of the life would take place.” This idea is consistent with the architectural history of the school. Photographs show the original light-filled classroom buildings with sliding doors connecting interior and exterior spaces. 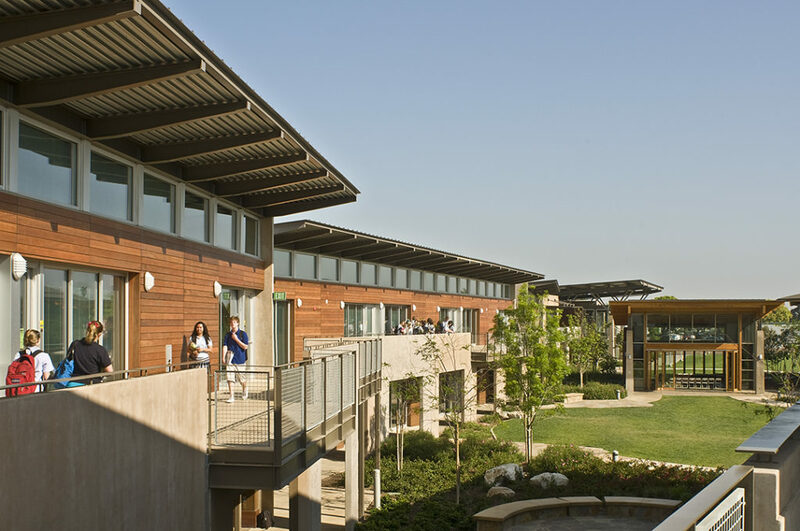 While not pursuing LEED certification, the new buildings reflect this progressive school’s environmental consciousness and make it a model for creative sustainability. 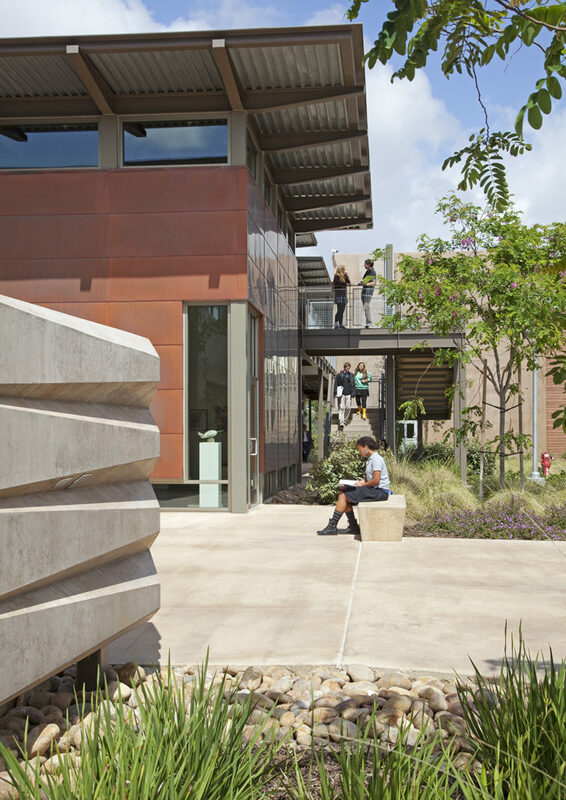 “Seeking to create a durable, handsome, economical and environmentally friendly campus of buildings, we relied heavily on tilt-wall construction, recalling the spirit of the innovative, early 20th-century projects done in the San Diego region by Rudolf Schindler and Irving Gill,” said Papay. Lake|Flato suggested the tilt-up method of construction in their winning design competition entry, and they never veered from it. “The school embraced it from the outset,” said Papay. 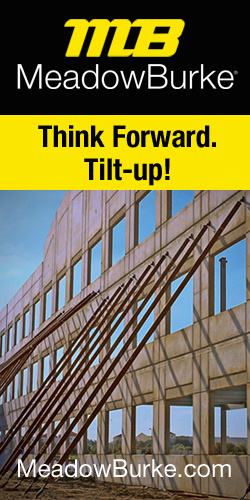 Contractor Rudolph and Sletten performed the tilt-up panel forming, concrete placement, and panel lifting and setting. Roughly 75 percent of the buildings’ envelopes consist of concrete. The balance is clad in an extremely durable South American redwood from a sustainably managed forest. All classrooms are naturally ventilated, and day lit with an innovative arrangement of light shelves and sunshades that filter and direct breezes and sunlight. Finally, all the classrooms have pocketing glass doors, providing direct connections between indoor and outdoor environments. 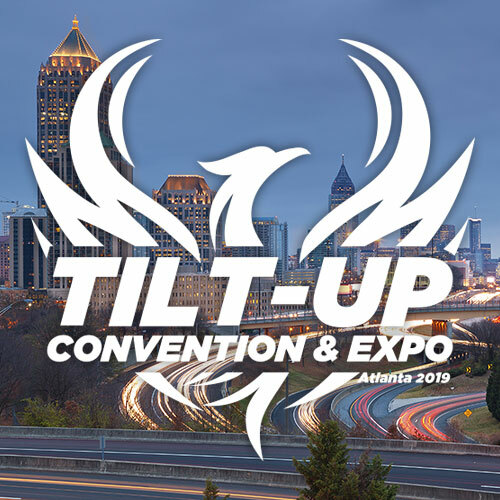 “The tilt-wall construction contributed greatly to the building’s environmental and engineering performance,” said Papay. The 7.25-inch walls resist both vertical and lateral loads, creating incredibly sturdy shells. These shells also help dampen heat gain and loss, contributing to how the buildings outperform Title 24’s stringent energy requirements by 33 percent. High-volume fly ash content, local sand and cement sources, and integral color created the warm-toned walls. In select areas, recycled glass aggregate was added to the panels and ground smooth, creating vibrant colors at areas of maximum interaction. “The inlaid recycled glass aggregate required special concrete placement techniques with double layers of wire mesh placed over the glass to prevent the concrete from moving the glass into consolidated groups,” said Andy Rogers, project executive with Rudolph and Sletten. “In addition, all glass aggregate was required to be ground by hand,” he said. 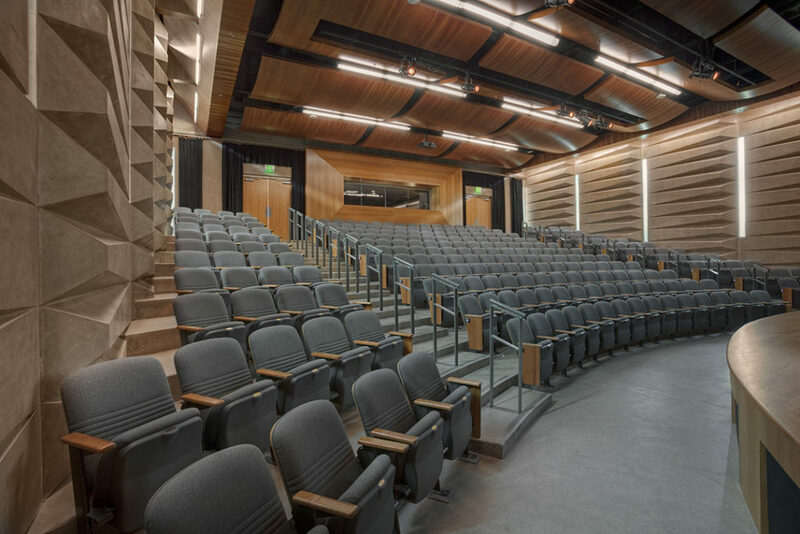 Of particular interest are the panels in the Lecture Hall where monolithic panels, expressed on the interior and exterior of the building (allowed by San Diego’s temperate climate), are shaped on the interior to create an incredible, acoustically tuned space for lectures, orchestras, rock bands and choirs. The panels are as wide as 18 inches thick and weigh up to 80,000 pounds. For Rudolph and Sletten, the architectural panels for the lecture building were an exciting and challenging prospect from the beginning. The original idea was to actually sawcut portions of the concrete casting slab into large runs and stack them on the building exterior as part of the skin. Due to cost considerations, a formed system seemed much more economical and had a greater chance of achieving the desired look. Initially, using standard form lumber and raw casting slab to cast the panels (as had been done previously) was considered. However, the extra cost of having to heavily sack and patch a tilt-up wall that was such an important architectural feature led the team to rethink the process. Rudolph and Sletten worked with the designers to find an alternative wall panel design that achieved the same look as the original design, saving the client over $250,000. Through collaborative discussions, the team developed the idea of using a metal pan as the form shape. The metal pan would provide less variation in the look of the panels shape to shape, thus limiting (and perhaps eliminating altogether) the amount of sack and patch work required. The metal form system greatly increased the quality of the end product. The rigidity of the metal as well as its consistent surface eliminated variation in the panel shapes, and provided clean, crisp edges without any post-cure efforts. The metal pan also completely eliminated any telegraphed surface cracks from the casting slab that often occur on a large casting surface. Now ten years old, the highly acclaimed buildings continue to serve the school well. 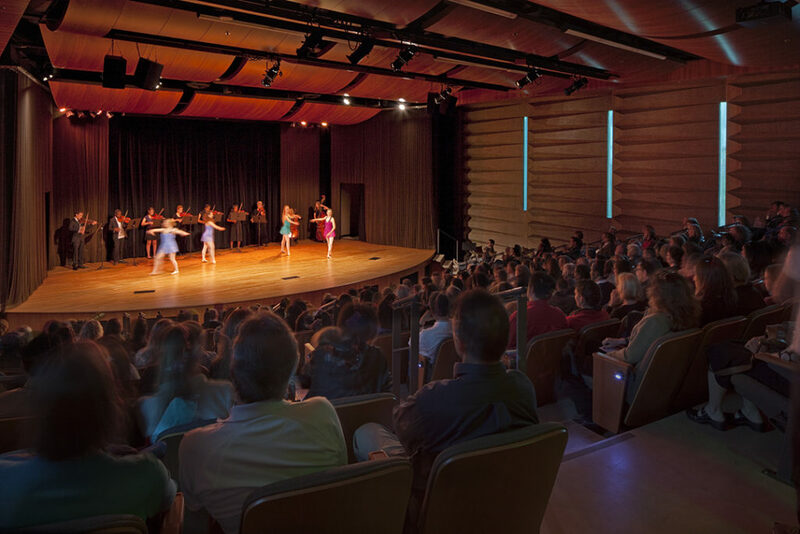 With 12 structures on the campus predominantly structured by tilt-wall, the campus represents one of the largest uses of tilt-wall in an educational environment in the United States. According to Papay, the panels continue to perform very well with minimal maintenance, thanks to their durability. Additionally, their strength and rigidity allowed for open floor plates ideal for any future space transformation as the school’s needs change over time. This project has been published previously by Architect Magazine and Designing the Sustainable School. 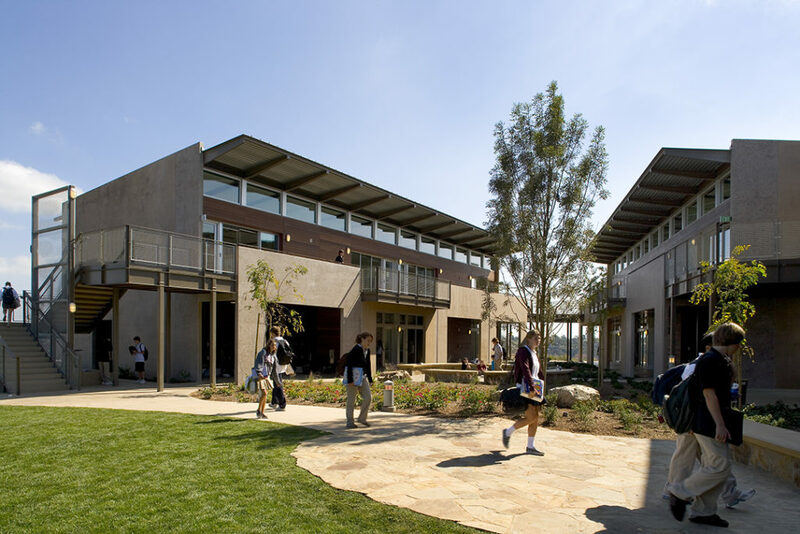 Awards include AIA Committee on Architecture for Education Facility Design Awards, AIA California Council Savings by Design Energy Efficiency Award, AIA San Antonio Design Award, AIA San Diego Committee on the Environment Award, AIA San Diego Design Award, and Orchid for Architecture Award.